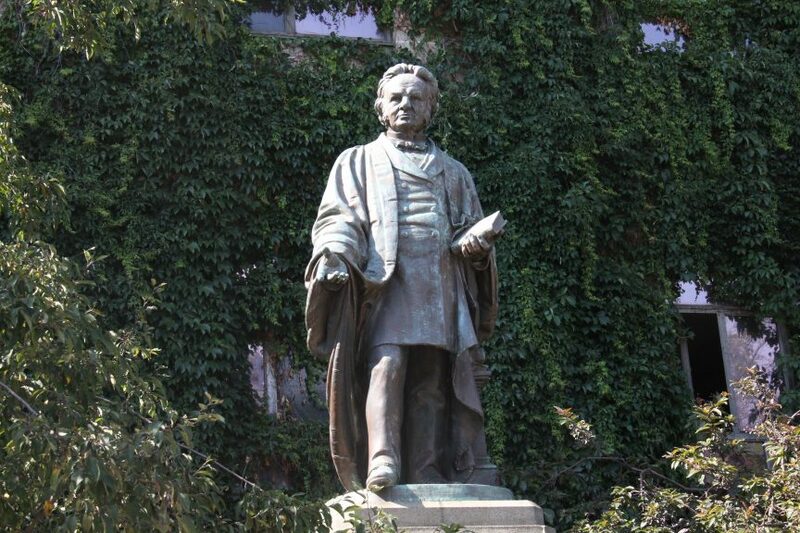 Ryerson University had a meeting this month to discuss the possibility of removing the statue of Egerton Ryerson from campus, provided it is moved to another location. Though no actions are currently confirmed or planned, the university had not previously officially discussed this possibility until the meeting on April 4. “Our Office met with three Indigenous students today to discuss their concerns. One of the items they talked about was the impact of the Egerton Ryerson statue. They shared their thoughts about the possibility of a replacement, however at this time there are no plans to remove the statue,” wrote the office of Denise O’Neil Green, Ryerson’s vice-president equity and community inclusion, in a statement. Also in the meeting was Ryerson Students’ Union (RSU) vice-president equity Camryn Harlick, Monica McKay, Ryerson’s director of Aboriginal initiatives, CESAR vice-president equity and campaigns Phyllis McKenna, as well as Ryerson social work student Sarah Dennis. On Canada Day, the RSU published a list of demands regarding Indigenous justice on campus, including the removal of the statue of Egerton Ryerson, who helped create Canada’s residential school system, as well as changing the name of the university. In November, the university agreed to most of the demands, including the creation of an Indigenous language course, the education of public servants on the history of Aboriginal Peoples and the history of residential schooling, an annual pow wow and a research program with multi-year funding to advance the understanding of reconciliation. The administration never officially rejected the statue removal and name change, and another meeting to discuss it was to be scheduled at a later date. In January, Ryerson released its community consultation report addressing how to implement the Truth and Reconciliation report’s recommendations. It didn’t mention removing the statue, but rather suggested adding a plaque explaining the historical context of Egerton Ryerson’s actions. According to Harlick, a committee consisting of himself, McKenna and Dennis is tasked with finding a potential place to move the statue, but he said the university is also willing to help. Harlick suggested donating it to a historical society or possibly turning the statue into a bust and putting it in the archives. Harlick said they also discussed what would replace the statue in its current location, like an Indigenous art installation or a medicine garden. THIS IS ABSOLUTELY RIDICULES! SO DISRESPECTFUL TO THE SCHOOL! I think it’s disrespectful that Egerton Ryerson thought it was okay to destroy the indigenous culture? Read up on your history. Times are changing and Ryerson doesn’t need to keep a statue that offends so many of our students just by being on campus.